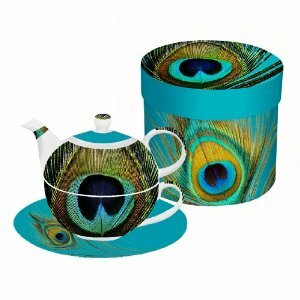 Any friend will be impressed by this artful Peacock print tea set! Paperproducts Design Tea for One Set features vibrant peacock pattern. Set includes teapot, cup and saucer packaged in coordinating round box that is perfect for gift giving or storage.